Cariloha Opens its Second Store in the Nation’s Capital!
. Published on February 1, 2018 . Cariloha’s newest store opened this week in the growing Atlantic coast city of Dulles, Virginia, only five miles north of the Dulles International Airport and 25 miles west of downtown Washington, D.C. This is the second Cariloha store owned and operated by Paul and Kathy Haddock, who also own and operate the Del Sol and Cariloha stores in nearby National Harbor, Washington, D.C. The Cariloha Dulles store will be managed by the Haddock’s sons, Paul Jr. and Chris, who also help manage their family’s other two stores. The store will also be staffed by local employees from the D.C. area. 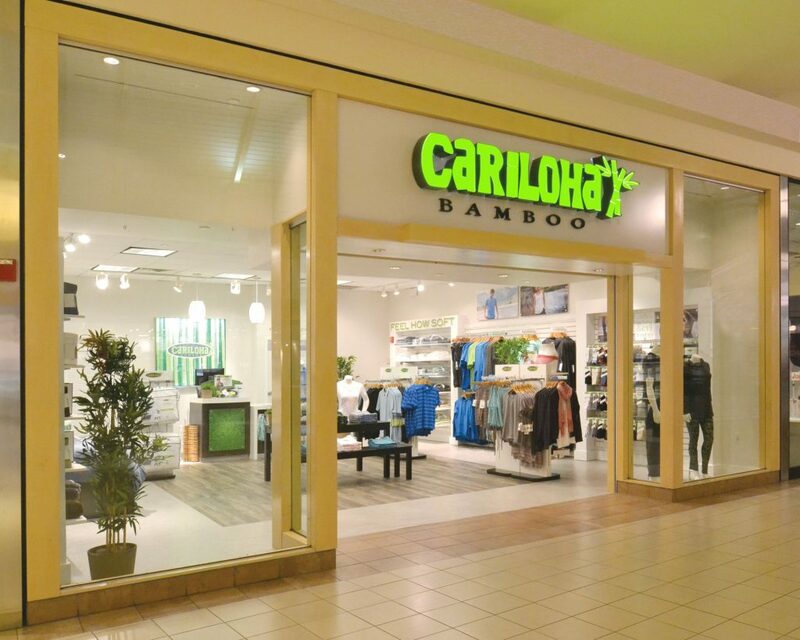 The new 800-square-foot Cariloha store is located inside the popular Dulles Town Center Mall, which is one of the premier fashion, dining and entertainment destinations near Washington, D.C.
Want to see all the hard work that went into building out this innovative Cariloha Dulles store? Watch the Cariloha Dulles, Virginia store come to life in this short time-lapse video! Dulles Town Center guests will find the Cariloha store in the central most-trafficked section of the mall, where all the shows, exhibits and anchor stores are located. The mall attracts millions of local and tourist customers annually and is considered one of the major destinations in the region. Loudoun County, Virginia, where the store is located, is the third wealthiest county in the nation, housing very affluent, high-income families who are going to love the luxury comfort of Cariloha’s bamboo bedding, clothing and bath goods. Opening more store locations in the area will help generate more buzz and momentum for the Cariloha brand. Eventually, the Haddocks plan to expand store management responsibilities among all their family members. “We love the Del Sol and Cariloha brand and how the company conducts business, including training and overall operations processes,” said the Haddocks. “We’ve grown with the company for several years now, and we’re looking forward to more growth in the future.” The Haddocks are looking forward to catering their marketing efforts toward mall-type shoppers, and their enthusiasm for Cariloha is spilling over into everything they’re doing. This first-class Cariloha store turned out beautifully, and we’re excited to see what it will do in this greater Washington, D.C. region. Special thanks to Adam Wood (Regional Sales Director) and Adam Stevenson (Cariloha Store Designer), who were onsite for the build-out and store staff training.